The late, great director was involved in multiple projects before his suicide. 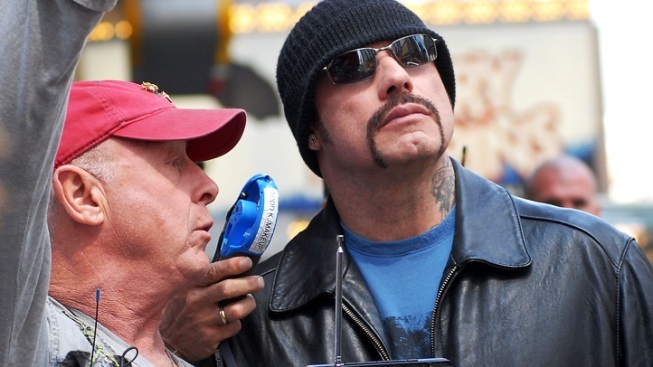 Actor John Travolta and Director Tony Scott on location for "The Taking of Pelham 123" in 2008. Scott's death from suicide has left many projects he was involved with in doubt. Shock waves are still reverberating throughout the industry following the news of the accomplished director's apparent suicide. Tony Scott was working on quite a few high-profile projects when he passed away, planning flicks with talent such as Channing Tatum, and working on a sequel to one of the biggest Tom Cruise hits of the 1980s. Let's start with the film that Scott most recently wrapped. He served as a producer for the Christian Bale thriller "Out of the Furnace," which started shooting in April and costarred Zoe Saldana, Woody Harrelson and Willem Dafoe. The film has wrapped, and that there is no indication that Scott's death will affect the project's slated 2013 release date. Scott is also a credited producer on the upcoming horror film "Stoker," starring Nicole Kidman and Mia Wasikowska. That project was even further along and has a solid release date of March 1 of next year; Fox Searchlight didn't return requests for comment, but at this late stage it's unlikely that anything will change. However, according to Deadline Hollywood, Scott was closer to ramping up other projects, particularly "Narco Sub," a Fox thriller about drug trafficking. There was also strong talk that Scott's next project was going to be with Vince Vaughn, yet another action thriller about the drug trade called "Lucky Strike," but sources reveal that the Vaughn project was not set for the foreseeable future. All that said, the project that probably had folks most excited was "Top Gun 2," a revisiting of the 1986 hit starring Tom Cruise. Scott directed the movie, which helped skyrocket Cruise's career during that decade. Paramount had said in April that Scott was on board, and The Hollywood Reporter reports the two were in Nevada just last week doing research. But filming has not started, and, while Scott was actively working on the project, details are far from firmed up. The studio tells me it has no updates today on that project, but you can bet that whoever takes over Scott's duties will be eager to honor his memory.